lowndes county sheriff dept Valdosta WhenIwasBlack I could fly. Let Democracy win for bi-partisan reasons. While first graders get suspended for making a finger gun at Westside Park Elementary School in Adelanto CA. 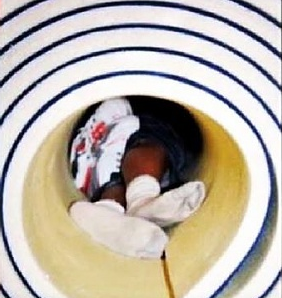 Sadly, Kendrick Johnson – was found stuffed in a gym matt by Haters and there have been no arrest for his lynching. A photo taken after the autopsy showed that the once-healthy happy child, now barely recognisable. Pieplow sprinted across the room. When he pushed the mats onto their sides, a black male’s body from the waist up tumbled out of one of them, along with blood and dreadlocks, teeth and vomit. Pieplow backed away. Another coach told the students to leave the gym. Someone — several people — called 911. All the evidence is missing and/or tampered with.. The paramedics called it a crime scene. The only thing left is a video with disappearing and appearing, out of nowhere people. Have not heard of any classmates speaking out one way or the other. While, the mats were near a wall, but still easily within view and earshot of center court. People using the gym that day would have heard him. How could they? He was killed [by the sheriff for dating his impregnated pregnant daughter] and stuffed into a matt; hair and dreads thrown in on top of him. Caught with his back turned and shoes off; his shoes were tossed in after him after being bludgeoned to death at school? Somewhere between Macon and Valdosta, Kendrick’s clothes disappeared. The edited tape, the coroners taking his organs, someone cutting his fingernails after the murder, his shoes being off and placed under him and also blood (At a School) overlooked as well as clothes left around along with extra shoes and blood evidence ignored. the members of the sheriffs department that are covering up what happened need to be tried as accomplices in the murder…obviously. This entry was posted in NO MORE NOT MY KID. Bookmark the permalink.